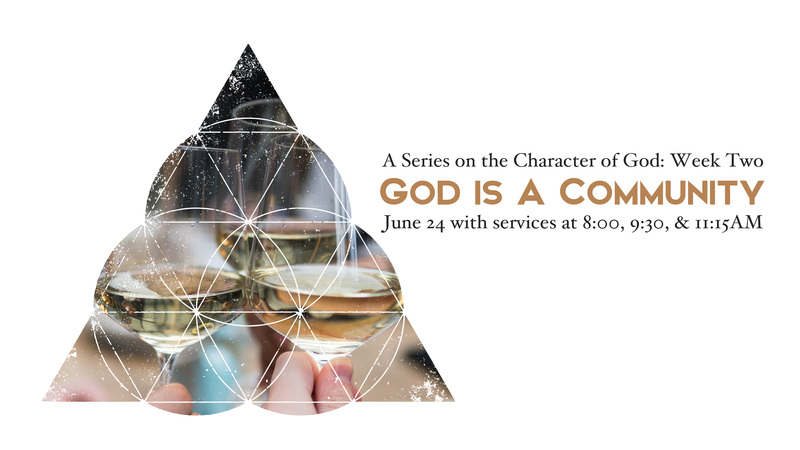 This coming Sunday we will continue our study on the character of God as Pastor Chris will teach on the nature and community of the Trinity. Today we look forward to exploring this extraordinary truth together and meditate on the Trinity and prepare our hearts and minds for what God would say to us. The following article is taking from our God is ____ study guide written by our groups minster, Patrick O’Rourke. Much of God’s revelation has been progressive in nature, meaning that later revelation sheds light on and brings clarity to the earlier. While the Old Testament gives us hints about God’s triune nature, we cannot fully see the glory of the Trinity until this doctrine is illuminated in the later revelation of the New Testament. John Frame wrote, “The fact is this: Scripture testifies from beginning to end that God is one; but it also presents three persons who are God: the Father, the Son, and the Holy Spirit.” From the beginning of Genesis to the end of Revelation, the Bible teaches that there is one God. Deuteronomy 6:4 says “Hear, O Israel: The Lord our God, the Lord is one,” and God says of Himself in Isaiah 44:6 “I am the first and I am the last; apart from me there is no God.” There is one God, but Jesus puts all three persons of the Godhead on display in Matthew 28:19 when He commands the disciples to “Go and make disciples of all nations, baptizing them in the name of the Father and of the Son and of the Holy Spirit.” The revelation of the trinity in the New Testament does not nullify or contradict the oneness of God that we see clearly taught in Scripture, rather, it gives us an insight into the communal nature of the only God. His nature is this: there is one God eternally existing in three persons: Father, Son and Holy Spirit; they are equal in every divine perfection and they execute distinct but harmonious offices in the work of creation, providence and redemption. When God created the universe, all three persons of the trinity were at work. As He sustains all things by His powerful word, all three persons of the trinity are at work. As God redeems, sanctifies, and glorifies His people, all three glorious persons of the trinity are working. From eternity past, God existed in loving community with Himself, and as a community He was not lacking friendship, companionship, or love. Through the work of the Godhead in our redemption, we are now invited to participate in the love that the community of God shares. We cannot fully comprehend the Trinity. God never commands or expects us to, but the beauty and marvelous mystery of the triune God should fill our hearts with joy that pours out in worship to the Father, the Son, and the Holy Spirit for who God is and what He has done. God, all that we know about You is because You chose to reveal Yourself to us. You are infinite, mysterious, and Your nature is far beyond our capacity to fully understand. Thank you that You do not require us to understand, but simply to love and trust You. Cause our hearts to overflow with affection and joy as we meditate on who You are as revealed in Your word. Let us not stumble on our own finite understanding, but help us to walk confidently in who You say that You are. You are beautiful and the only One worthy of our praise, help us to see the work of the Father, the Son, and the Holy Spirit in our lives. If you want to dig in even further into this aspect of God’s nature, be sure to check out our series resources page on our website where we have a list of articles, podcasts, and videos you can dive into to learn even more!